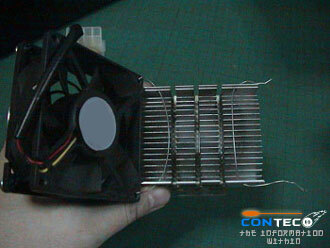 We will guide you on how to mount a 80mm fan on heatsink. 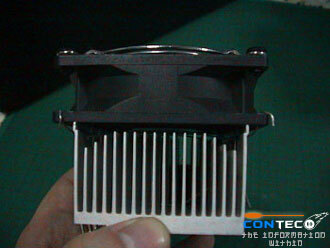 Please note that the heatsink used with this illustration is from a Taisol heatsink. Material use, hard wire, cutter and a nose pliers. 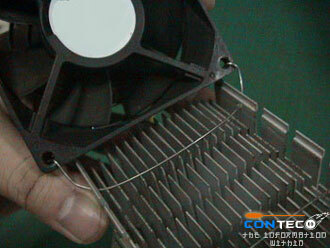 1) Hard Wire and a cutter. 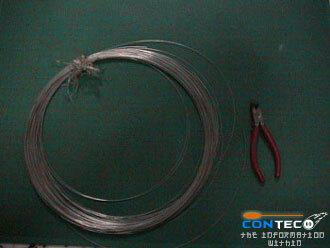 2) Place wire to one side as shown above. 3) Place wires on the other side too. 4) Use nose pliers to pull and cramp in position.